You know a film has been good when you have to cower as the cinema lights come up at the end for fear the audience will catch sight of your puffy eyes and tear-stained cheeks, when the emotional exhaustion has left you depleted and dehydrated, and when you don’t want to leave until the music from the credits has stopped rolling. Tom Hooper’s new movie of Les Misérables must have been exceptionally good, because as the credits rolled, I suffered from all three symptoms unreservedly. Almost from the moment Schonberg’s rapturous score began to play, the hairs on my arms stood erect, and my tear glands began to tingle. 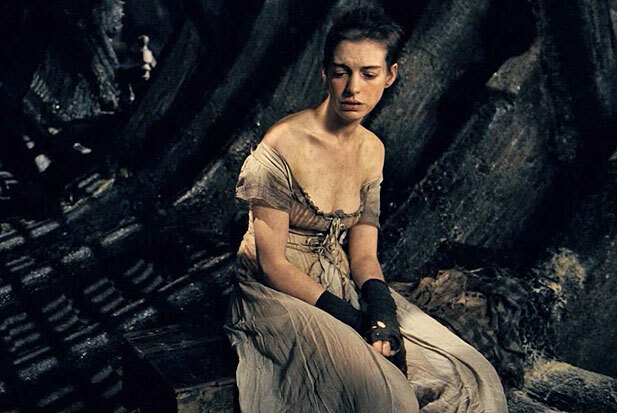 By Ann Hathaway’s incredibly performance of I dreamed a dream as Fantine, they were in full flow. 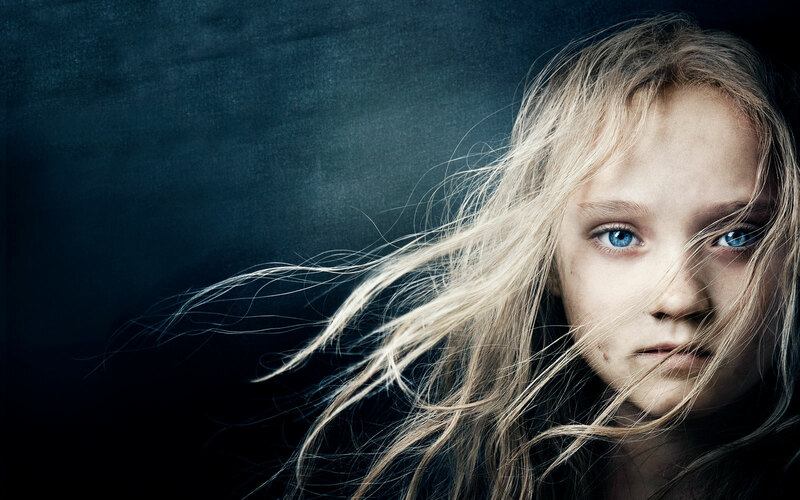 But the question remains, was my intense emotional reaction and great enjoyment of this Les Misérables a reaction to the film, or just the score which has enchanted audiences for years? Undoubtedly both factored hand in hand. Nothing quite beats the power of the full cast singing in harmony together on a theatre stage, such as the performance of One More Day at the end of Act I, as the revolutionaries prepare for battle, and Jean Valjean prepares to rescue Marius and protect Cosette. The intensity and intimacy of the theatrical production cannot in fact be beaten in many respects, and has arguably reduced me to greater effluvia of tears than the film. 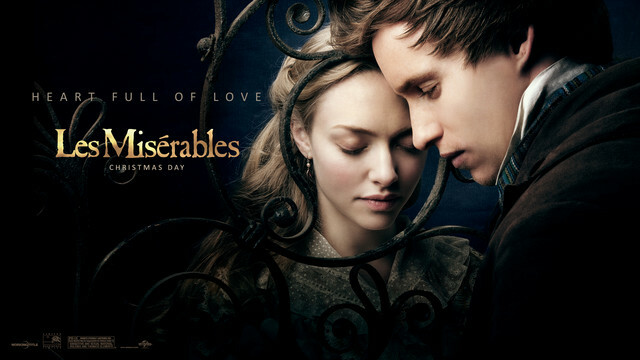 But what the movie brings us is what only a movie can – Les Mis on a grand scale, with an ambitious backdrop of early 19th century Paris which could never be attempted by even the most significant of theatre stages. 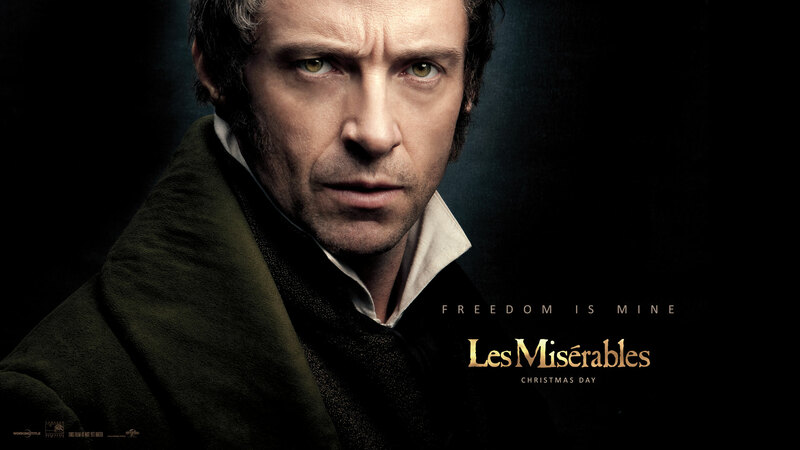 The opening scene of the movie is, for example, a stunning opener, as Hugh Jackman as the much wronged Jean Valjean, applies every last bit of energy into hauling a great big warship into a French port, while, of course, singing about the hardship he has endured. The scale of this immense marine backdrop was awe-inspiring and in union with the dramatic score made for a spine-tingling start to the film. However there are two reasons why this adaptation of Les Misérables is, in my opinion, a real winner, over and above the already much loved and highly emotive Schonberg and Boublil score. The first is the cast. So often, when a musical is Hollywood-ised, funding is secured only by the promise of a super-famous cast of actors who are nonetheless unskilled in their musical ability. This is (apart from perhaps one exception) not the case here. I would never have guessed that X-Men’s Hugh Jackman would be such a good singer, with a fine tenor voice and demonstrating great skill, particularly in songs such as God on High with its octave leaps and challenging high notes. He also demonstrated himself to be a fine and versatile actor, oozing the moral strength and fortitude which is central to the character of the wronged yet self-sacrificing Jean Valjean. Equally brilliant was Anne Hathaway, who I’ve only really known from the Princess Diaries, The Devil Wears Prada and other light-hearted fair. Who would have known that she could act and sing with such incredible intensity? Her performance of I dreamed a dream was so brilliant, so natural, that hopefully, thank the lord, the horrendous massacre inflicted upon it worldwide by Susan Boyle will no longer be the peoples’ primary association with this musical masterpiece. 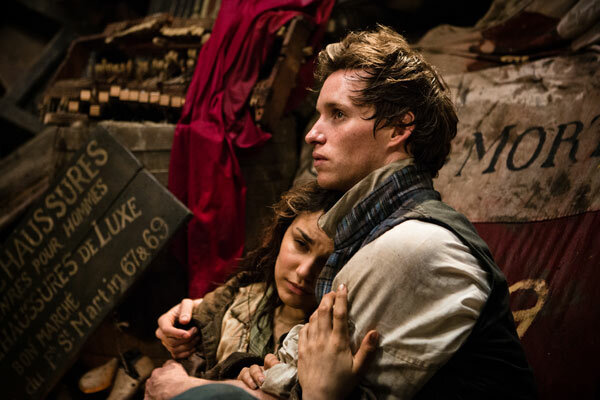 I also loved Eddie Redmayne as Marius, showing a greater warmth and depth of character than he did in last year’s BBC adaptation of Sebastian Faulkes’ Birdsong, and also sporting an excellent singing voice. Mention should also go to the lesser known but equally good Samantha Barks who reprised her stage role as Éponine, Aaron Tveit as a very intense Enjolras, spurring on the young thinkers to revolution, little Daniel Huttlestore as a brilliantly charismatic Gavroche, and of course the ever entertaining Sacha Baron Cohen and Helena Bonham Carter, the double-barrelled twosome, who made the perfect Monsieur and Madame Thenardier, the duplicitous inn-keepers who lend much needed light relief to an otherwise heavy emotional tale. 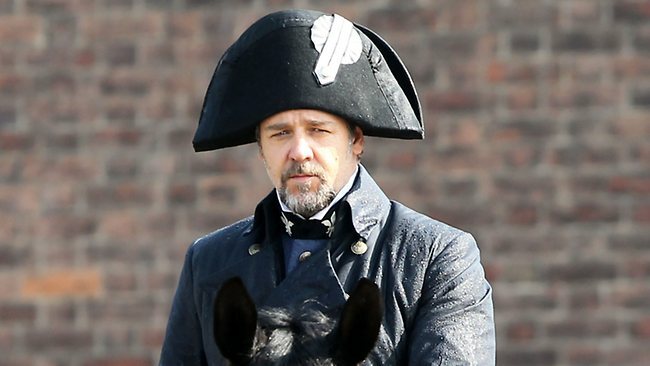 My one reservation, and the exception I allude to above, is for Russell Crowe as Inspector Javert. While he certainly looked the part as the stern, restless, duty-bound inspector who makes it his life’s work to chase Jean Valjean who missed his parole and eluded him ever since, this is a musical after all, and while Crowe can hold a tune, his voice was way too weak to install the character with the musical strength and baritone depth that is required. The consequence was a voice that was strained and tended to let the side down. But not so much as to take away from the otherwise remarkable work of this brilliantly constituted cast. The second respect in which I think this film succeeded was in the very innovative camera work. 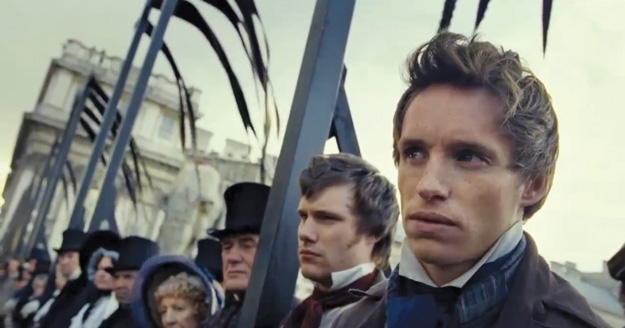 Tom Hooper as director appears to favour close up shots of the characters, which made for a particularly intense audience to character engagement during the pivotal moments of the film, such as Fantine singing I dreamed a dream and Marius singing Empty Chairs at Empty Tables (another superb performance). The camera lens almost appeared to give the effect of a convex focus, giving a very sharp focus on the character which then tapered off into a blurrier backdrop. The effect was intense, engaging and innovatively arty. It gave both a sense of realism and theatre, through which the very musical tenor of this film did not feel out of place. Enjoyed the review, will go as soon as possible. Thank you! Can’t wait to see this film now! With the cast (especially Kate Hathaway!) and your recommendation, I think I will! I am going to see it on Saturday and am really looking forward to it. So excited to go!! What AM i waiting for?! Apropos Hugh Jackman’s singing voice – this, at least, does not surprise me because I remember seeing him (a good few years ago) in a National Theatre production of “Oklahoma”. What a wonderful review! I cannot wait to see the movie. It is a little ironic reading your overview of the movie; because I had reservations about Russell Crowe and haven’t seen the movie. He definitely has the look of sternness, yet does he have that needed edge? Sound great no matter what! !Thank you for taking the time to summarize your take on the movie. Hello! I’ve been following your web site for some time now and finally got the courage to go ahead and give you a shout out from Kingwood Tx! Just wanted to mention keep up the excellent job!